Henry Holt and Co. (BYR), 9780805088564, 304pp. Can two friends foil a dastardly plan and save orphans from a fate worse than death? Christina lives in a big, old stone mansion on the edge of a dark forest surrounded by barbed wire. Deep within the forest is the laboratory where her father works—and where her mother was blown to bits years ago. Christina's father knows just how dangerous the world can be, so he keeps her safe at home, forbidding her from talking to the very interesting orphans down the road. But when an orphan boy named Taft talks to her, she's thrilled to help him search for a secret tunnel. But soon she discovers there's more to the orphanage, the lab, and the mystery of her mother's accident than she ever suspected. Sinister things are in the works—and the secret of zoom is the most dangerous secret of all! 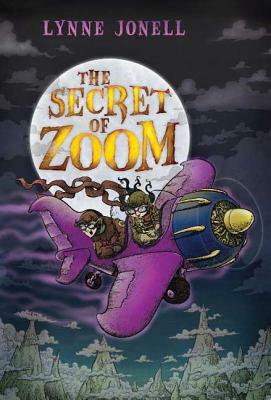 Lynne Jonell is the author of the novels Emmy and the Incredible Shrinking Rat, Emmy and the Home for Troubled Girls, and The Secret of Zoom, as well as several critically acclaimed picture books. Her books have been named Junior Library Guild Selections and a Smithsonian Notable Book, among numerous other honors. Born in Little Falls, Minnesota, Jonell grew up in a suburb of Minneapolis. She now teaches writing at the Loft Literary Center and lives with her husband and two sons in Plymouth, Minnesota, in a house on a hill.